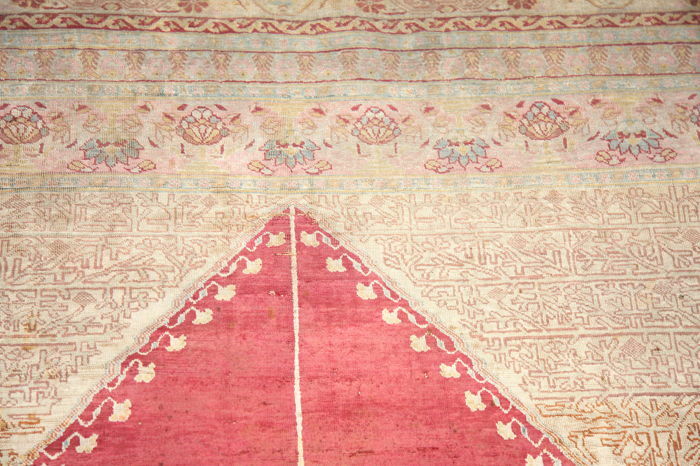 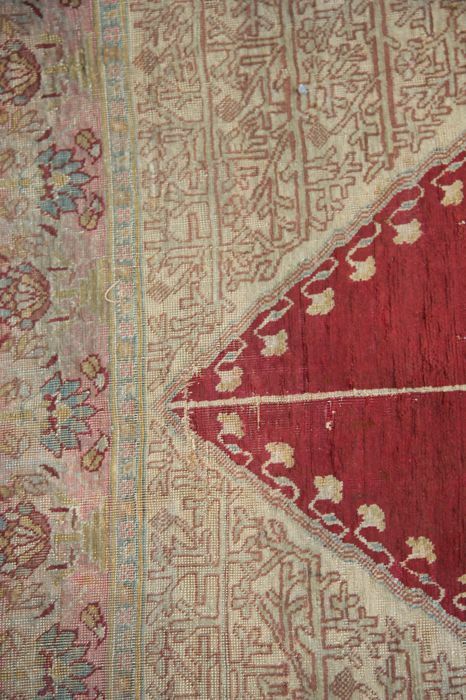 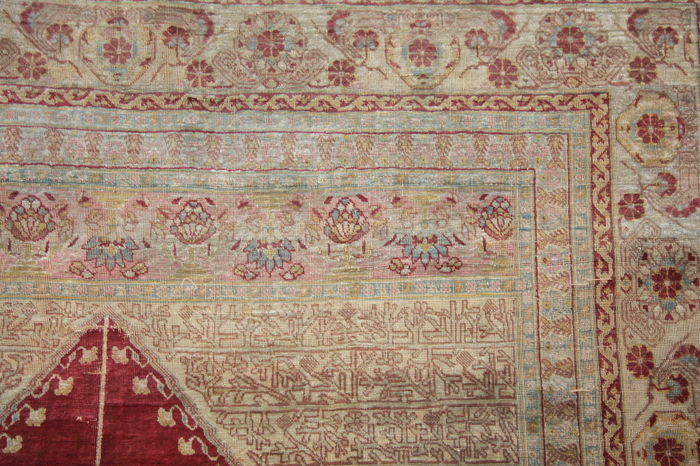 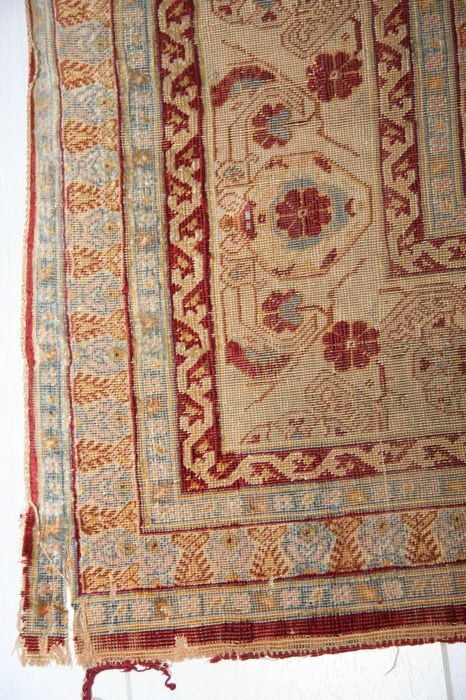 A magnificent and rare handmade antique silk Persian Tabriz rug circa 1800, measuring 170cmx128cm (5.6’x4’) and having an eye-catching Mehrab design in silk red field surrounded by pale blue and crème geometric motifs. 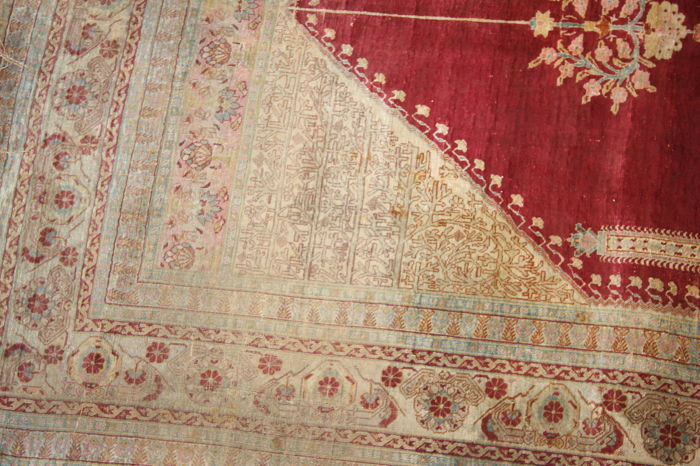 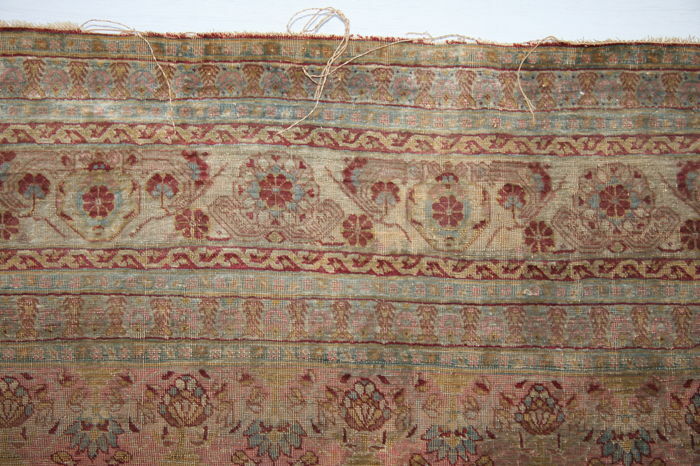 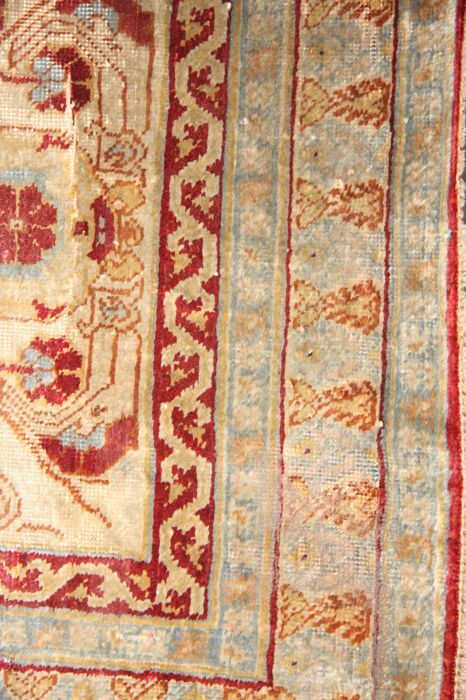 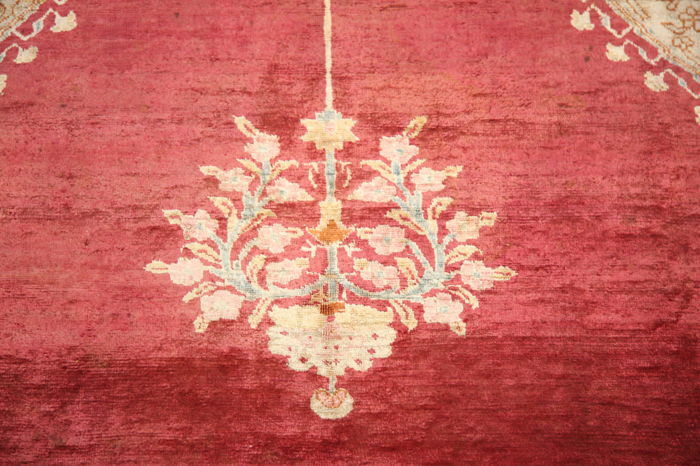 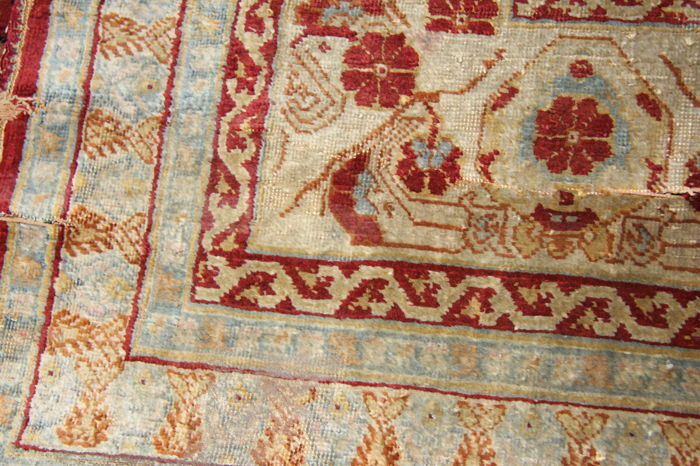 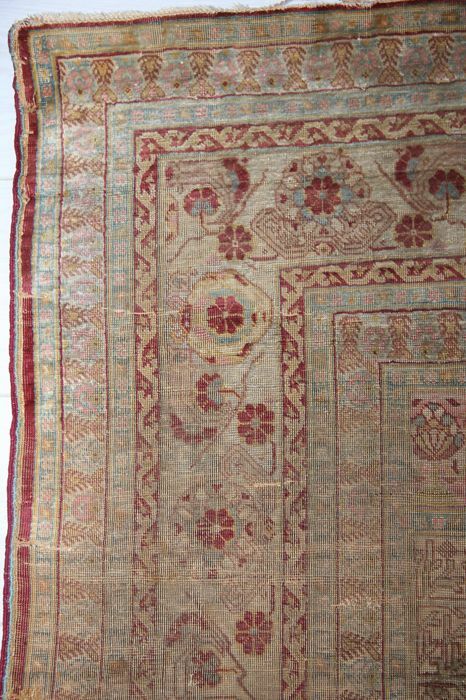 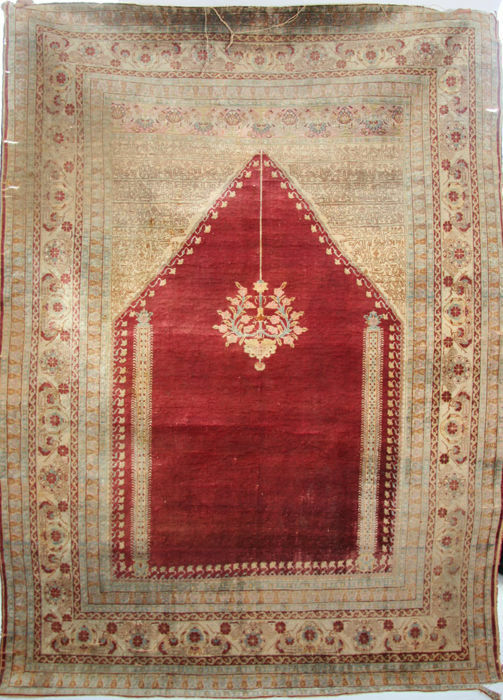 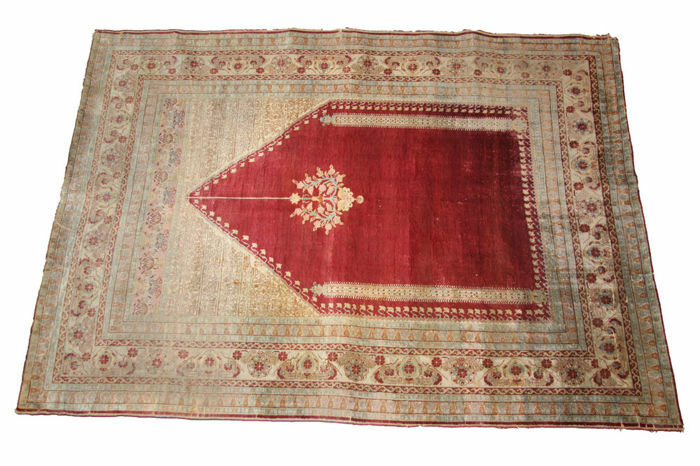 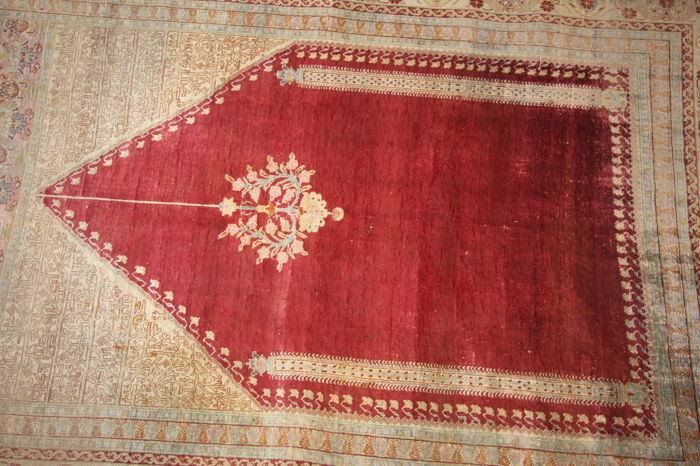 The rarity in design and weave indicates the rug to be one of the finest of Persian Tabriz rugs. 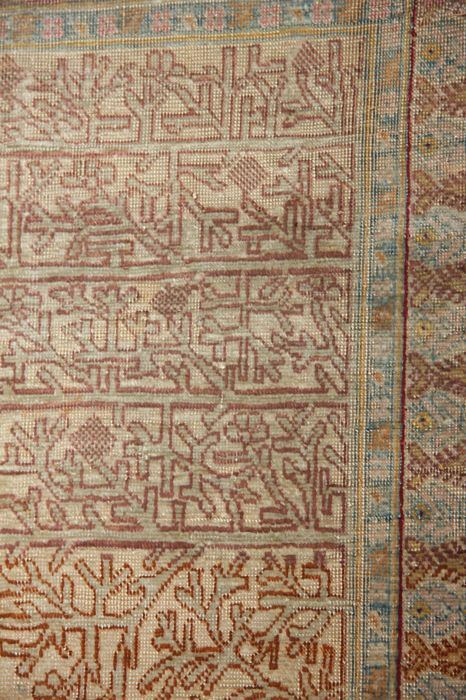 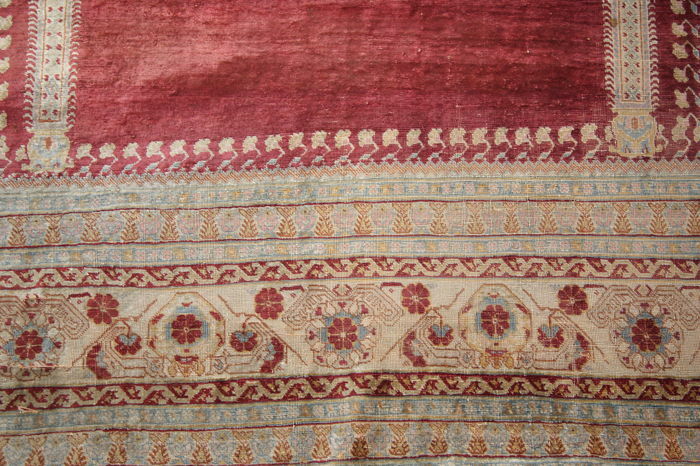 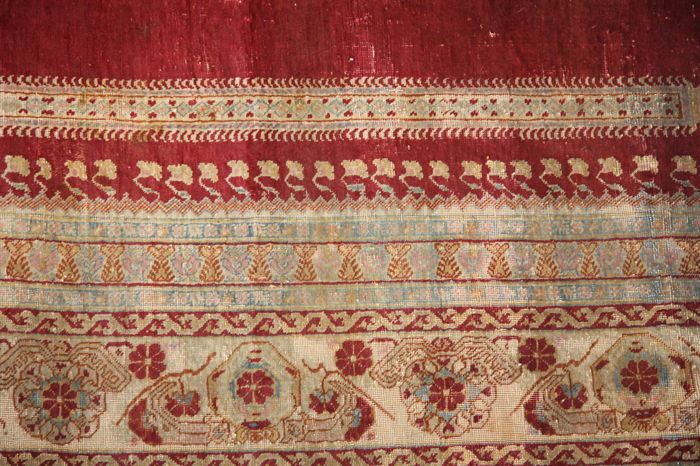 The knots are well over 90 Raj, which only selected made during 19th and 20th centuries. 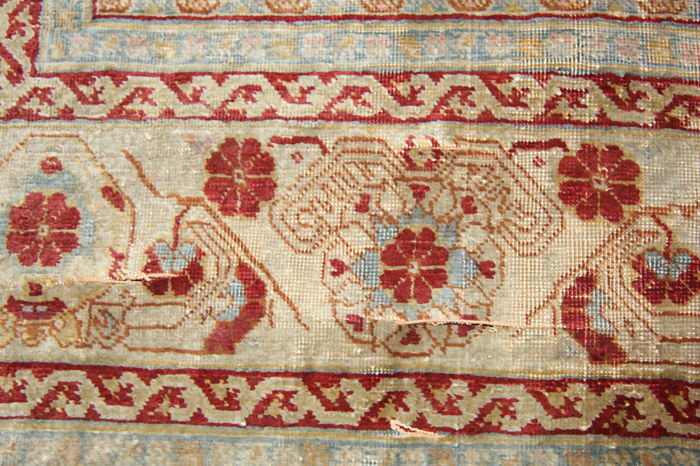 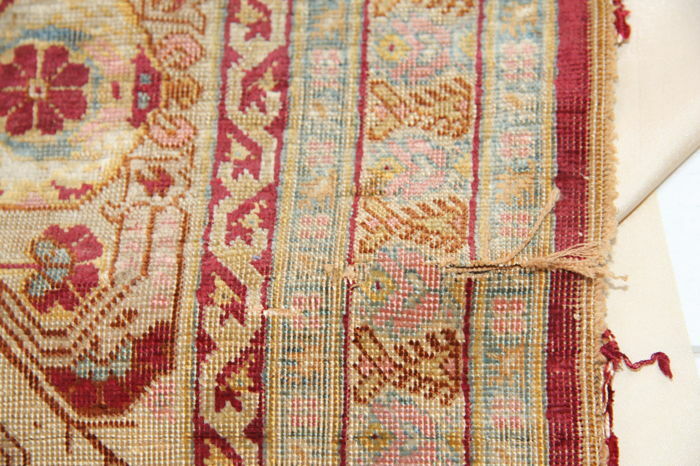 The condition of the rug: few lines of tear across the field. 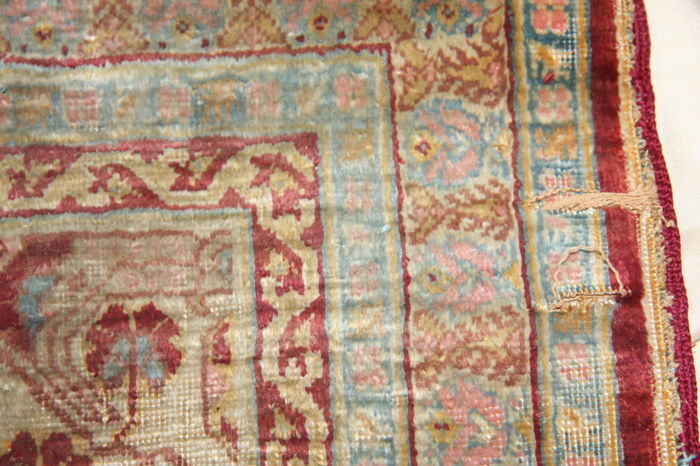 Two noticeable tears at end edges and in the middle salvage. 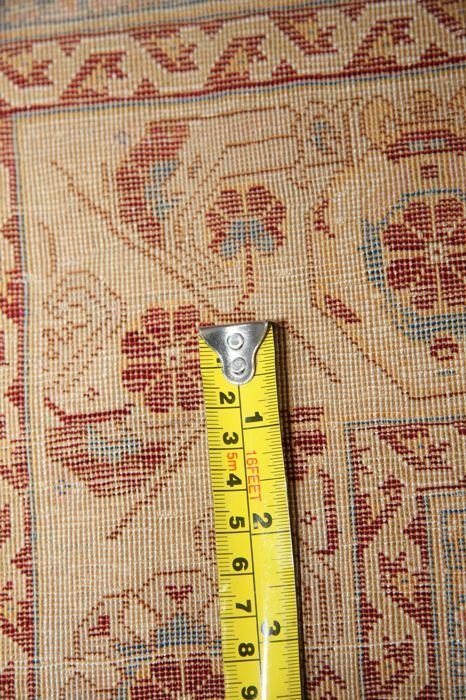 fragile foundation so needs to be handled with dedicated care Fraying fringes and salvages due to the age slight wear in the top corner Please note: this piece is mainly for collection rather than use as you should not consider this rug as a floor cover rug unless the area of usage is free of footfall traffic. 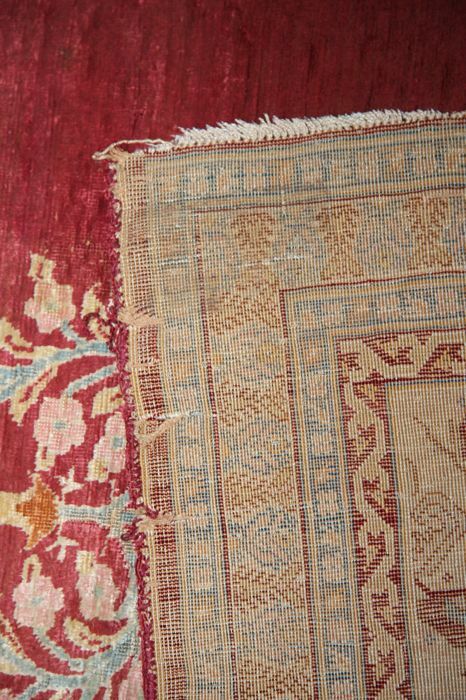 I do not know the estimate of the restoration but will be expensive so you may want to either frame it or keep it as a collectable item.